This should be quite simple, along the lines “one picure is worth 1,000 words”. A diffuser is something that breaks a gaseous or smoke material such as the shisha you have in your tobacco bowl and into the metal shaft acting as a diffuser and the smoke flow¬† by way of bubbles through your water cooling the smoke and hence the hubbly bubbly noise. You can get even more bubbles, smaller too with less noise by making a diffuser. I have 2 larg sized hookahs side by side, one with my diffuser and one without. As I listen to music and smoke, the bubble sound in the non diffuser hookah tends to drown out the sound of music. The hookah with a diffuser much less. 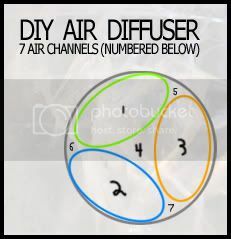 Here is what you need to DIY diffuser. 2,3,4,5 plastic drinking straws, the bending kind are best. For mini hookah and junior the diffuser is great since it will make the short shaft longer. But since the mini has such a small shaft diaeter, 2 would probably be all you need. Rule of thumb, putin as many as will fit. Into my large hookah shaft at the bottom, I only got in 4. 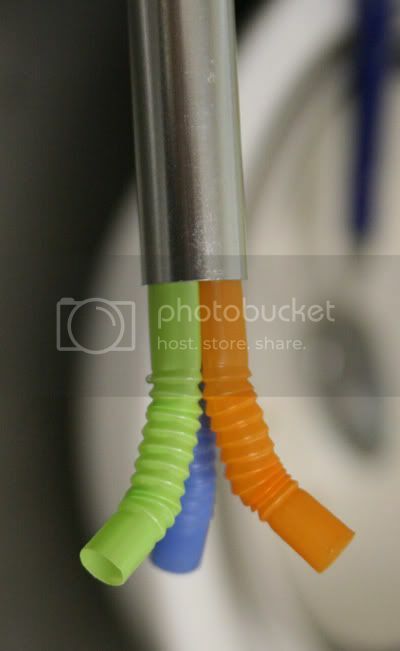 I actually prefer cutting¬† the straws longer and¬† as you put your shaft into the water of the bowl, they splay out in all directions also sideways, something¬† that no plain shaft can do. ¬†Inside cut away view of each straw in the shaft. You’ll find the draw a bit harder, which will create extra smoke but much cooler and quieter! Happy smoking , don’t pull a muscle lifting those straws! This is so simple. When cleaning the shaft you can save them a few times or make new in 10 seconds. Easy, and simple but great tip. I did this quickly and it cuts down on the noise and makes for more even pull on the hose.More smoke too. And what if u used the smaller coffee stirrer straw type things? Would that make it to hard on the pull? Or what? I see this is an old post, but I just wanted to say that this was a great idea! I tried it out, got 6 straws inside the stem, and wanted to mod it even further.. So I cut out some 0.5 CM pieces from a straw, folded them so each piece created two holes, and finally shoved them up into another straw. Then I used this straw as you showed on the picture. In addition I poked some small holes with a needle through each straw.